Chiang Mai International Exhibition and Convention Centre or CMECC is one of the largest convention and exhibition center in Southeast Asia. With usable space of 60,000 square meters, the centre is perfectly prepared for all type of events at both national and international levels. The Convention and Exhibition Centre is composed of two main buildings, SMEs building and main exhibition and convention hall. The main exhibition and convention hall is a large 2-story building with three main services including exhibition halls, convention halls and meeting rooms. 3 interconnected exhibition halls with a combined column free space of 8,000 square meters can accommodate more than 10,000 people. 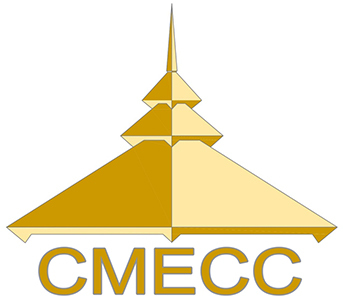 CMECC provides a large convention hall with 1,700 square meters, 29 various modern designed meeting rooms and other supporting facilities. Chiang Mai and its Lanna history are also well represented through the beautiful Thai-Lanna style arts and architectures within the premises. Parking for over 3,000 vehicles is available to visitors around the area which can be put to other uses. CMECC is a 10 minute drive from the city and 15 minute drive to Chiang Mai International Airport. It is surrounded by 2-5 star hotels, shopping malls and restaurants. SMEs building is subjected to promote Thailand’s entrepreneuship stimulus program, known as OTOP. It provides usable areas with 11,988 sqm which are composed of temporary exhibition hall, product display hall and supporting areas such as business meeting rooms, seminar rooms and rental office. The 7,443 square meters multi-use outdoor space is designed to accommodate the need of all type of outdoor events and activities.